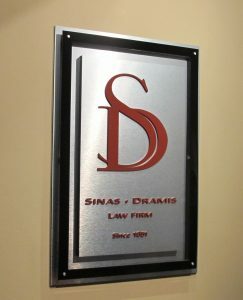 The Sinas Dramis Law Firm’s Unde rstanding Dangerous Roads campaign educates motorists about Michigan dangerous roads — highways and intersections across the state where drivers should be extra cautious. As part of the Understanding Dangerous Roads campaign, Lansing car accident lawyer Stephen Sinas and the Sinas Dramis legal team identify Michigan’s most dangerous roads by collecting and analyzing car crash statistics and other data. Videos are created for certain roadways, while blogs are posted about others, with explanations of the risks associated with each particular stretch of highway or intersection. Tips are also offered about how drivers can safely travel through the designated area. I-496 US-127 accidents in Lansing. I-94 US-127 accidents in Jackson. Saginaw Broadbent accidents in Lansing. I-96 I-69 accidents in Lansing. US-131 semi-truck accident in Grand Rapids. 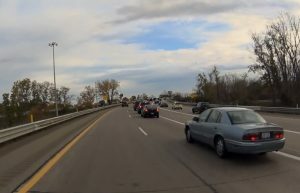 Inexperienced drivers on US 127 in Lansing. All the Understanding Dangerous Roads videos can be accessed at the bottom of this page. Additional information about Michigan dangerous roads can be found on the Sinas Dramis Law Firm’s “Understanding Dangerous Roads” blog. What Makes A Michigan Road Dangerous? Lansing’s I-496 and US-127 interchange is designated as a Michigan dangerous road. construction of the road (narrow lanes, sharp turns, shoulder drop off, etc.). exit/entrance ramps and merging traffic. obstruction or debris on the road. obstructed or limited view (foliage, etc.). time of day when traveling. Another factor that can make a roadway particularly dangerous is the speed limit. In fact, numerous Michigan highways have been designated for a Michigan speed limit increase, thereby making them potentially even more dangerous. A driver’s own behavior also contributes to the likelihood of an auto accident. Speeding, reckless driving, alcohol or drugs, fatigue and driving distractions — especially when traveling a dangerous Michigan roadway — lead to a greater chance of a collision. Stats from 2017 also show a greater risk for a US 127 accident among inexperienced drivers. Michigan auto accident deaths have unfortunately increased during the past several years. Numbers for 2016 show a spike in Michigan traffic fatalities, with an estimate of more than 1,000 deaths on the state’s roads. In 2015, the numbers show that 963 people were killed in accidents on Michigan roads, while more than 74,000 people were injured. And when it comes to nationwide traffic deaths, there were 35,200 fatalities on U.S. roadways in 2015 — the highest number since 2008. Why the increase in auto accident deaths in recent years? Experts say that risky driving behavior is to blame. A driver’s behavior is a factor in nearly 90 percent of fatal car crashes. Whether it’s talking to a passenger, using a cell phone, eating food or turning up the car radio, more drivers are engaging in risky behavior on the roadways. In fact, the National Highway Traffic Safety Administration (NHTSA) estimates that 660,000 distracted drivers are on the U.S. roadways at any given time during daylight hours. 64 percent said they are comfortable driving higher than the posted speed limit. 47 percent said they are comfortable texting on their smartphone while driving. 13 percent indicated they are comfortable driving after using marijuana. 10 percent said they are comfortable driving after consuming too much alcohol. To make matters worse, when drivers engage in risky behaviors like these while traveling a dangerous roadway or intersection, the chances of being involved in an accident dramatically increase. the consequences of risky driving behaviors. the Michigan rules of the road. 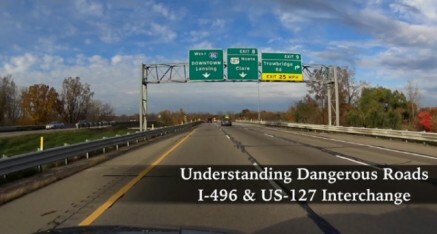 As part of the Sinas Dramis Law Firm's "Understanding Dangerous Roads" campaign, auto accident attorney Stephen Sinas discusses the dangers of the I-496/US-127 interchange in the Lansing, Michigan area.